Joint Health and Safety Certification Training is mandated under the Occupation Health and Safety Act, and is therefore necessary for Ontario workplaces with 20 or more workers where a joint health and safety committee is required. Legislation mandates that there must be at least one certified worker member and one certified management member on the committee. Consequently, this means that the majority of provincially regulated workplaces will need to have two persons complete Certification Training. Since certified members play a crucial part in workplace health and safety culture, it is extremely important that they enter their roles feeling prepared and knowing what to expect. Our Part One JHSC Certification Training course equips learners with the knowledge and resources to effectively fulfill their roles as certified members of a workplace joint health and safety committee. JHSC Certification Training Part One is an engaging and interactive 3-day course which is approved by Chief Prevention Officer. Completion of both Parts One and Two are necessary in order to be eligible for certification. Successful participants of this program will have completed the first mandatory component of certification training, and will be eligible to become certified members upon completion of Part Two Training. Please visit our calendar of events for course dates and locations. On-site training is also available for a minimum of 6 participants. Please inquire for details. Learners will be evaluated throughout the course based on their participation in case studies, exercises and group discussions. Each learner is required to complete a multiple choice test which will be evaluated by the course instructor. Complete Safety Resources provides a Record of Completion to all successful participants upon completion of Part 1 Certification Training. Official status as a certified member will be issued by the CPO after the participant has successfully completed both Parts One and Two within the prescribed time period.  JHSC Certification Training Part Two is a two-day course which fulfills the second component of the requirement for certification training. Since Part Two Training builds on concepts gained in Part One of the certification training process, Participants should have already completed Part One before registering for Part Two. This training program is also sometimes referred to as workplace specific hazard training because it focuses on workplace hazards that are considered likely to cause injury or illness to a worker. Our public Part Two training course is primarily designed for workplaces that provide general management or administrative support services (please see the list of hazards we will consider under Key Concepts). Learners will gain the knowledge and resources to identify, assess, and control the workplace hazards under consideration. Successful participants will be granted status as certified members by the Chief Prevention Officer. If you feel that the hazards significant to your workplace are different than the ones we will discuss in this course, please see the section below regarding Onsite Training. Please visit our calendar of events for course dates and locations. Ons-site training is also available for a minimum of 6 participants. Please inquire for details. Learners will be evaluated throughout the course based on their participation as well as the completion of action plans for each hazard related to their workplace. Complete Safety Resources provides a Record of Completion to all successful participants upon completion of Part Two Certification Training. Official status as a certified member will be issued by the CPO after the participant has successfully completed both Parts One and Two within the prescribed time period. Refresher training must be completed within 3 years of Part Two Training in order to maintain Certified status. We provide onsite certification training sessions for groups of 6-25 learners. The benefit of arranging training onsite is that it can be scheduled at a time that best suits the needs of your organization and attendees. It is also possible to customize the content of Part Two based on the hazards most relevant to your work environment. This type of training works especially well for organizations with multiple locations requiring certified members, such as retail stores and restaurants. ** Please note that the content and timing of our courses complies with the JHSC Certification Training Standards set out by the Chief Prevention Officer. For this reason, it is not possible to condense or shorten Part One or Part Two training. Onsite training is available in the Greater Toronto Area, Kingston, Ottawa, Hamilton, Sudbury, Thunder Bay. Please contact us for details. Please contact us for a quote based on your group size. Do you have a deadline for completing training? Approximately how many people would you like to train? joint health and safety committee. For more information regarding this CPO Approved training program, call today! This is the person at your organization who takes the lead in workplace health and safety, and is often someone in HR or in a management position. Who should we contact regarding invoicing and payments?